Gotabaya Rajapaksa the former Ministry of Defence Secretary under his elder brother Minister of Defence, Mahinda Rajapaksa has finally come out of the closet. In a public interview widely circulated, Gotabaya ventures into a realm quite out of the ordinary. Economics of a Nation, and his plans to take Sri Lanka into the first world. The interview was well managed by his script writer and cameraman. The interview was an obvious ploy to shunt Gotabaya as a pragmatic economist, well versed in how a nation’s macro economy is run and so fashioned to deviate his hitherto public image of a military strongman. This left many a viewer bemused.The camera was panned only to show a head shot so as to conceal the written script from which he was paraphrasing. His delivery was slow and contrived, akin to an economist sharing his knowledge with first year university students. The package included sparsely thrown words such as GDP, Low incomes, attracting knowledge and larger intake into Universities. Viyathmaga, his claim to garnering intellectual capital to pitch for Presidency in year 2020, has yet to name the team that is advising him. Readers attention is drawn to the facts enumerated in the article. They are from reports to Mt Lavinia Courts by the investigators and thereby they are necessarily public documents. It is an established fact that the Army Intelligence was behind the abduction, assault and torture of Keith Noyahr and the murder of Lasantha Wickrematunge. It is established that Kandegedara Piyawansa was the person who used Pitchai Jesudasan’s Identity Card to obtain five SIM cards which were used for these operations. It is an established fact that Pitchai Jesudasan died in remand. It is an established fact a motor cycle was dug out from a marsh nearby the murder scene of Sunday Leader Editor Lasantha Wickrematunge on an anonymous tip off received by IGP Jayantha Wickramaratne. It is an established fact that the two young tamil youth who were riding this very same motor cycle were abducted in an army style operation in the north and their charred bodies were later identified by the Criminal Investigations Department.It is an established fact that Kandegedara Piyawansa was promoted, paid his monthly salary and even given loans whilst in remand. It is an established fact that Piyawansa was exonerated in a higher court during Mahinda Rajapaksa reign, with UNP lawyer and human rights activist J.C Weliamuna appearing for him. It is an established fact that the note book of Lasantha Wickrematunge had the false numbers of plates of the motor cycles that followed him noted and was taken away by SI Sugathapala who handed it over to SP Adikari who in turn handed it over to DIG Nanayakkara on instructions from IGP Wickremaratne. It is an established fact that the original notes in this connection were removed/replaced on similar instructions. The policemen involved are presently in remand. The then Ministry of Defence Secretary says that most of the revelations now elicited by the CID stems from the initial findings made by the TID, during his time. He lies. The SIM cards and the resultant findings were found out by two Policemen from Mt Lavinia Police who did the initial inquiries painstakingly and made notes and copies to Court. These could not be destroyed. Piyawansa was arrested after Jesudasan’s statement at a similar time. DIG Wakishta was a known Gotabaya acolyte and was part of the cover up. What is he doing in Germany? Germany was a country some of the perpetrators of these crimes were sent on Diplomatic appointments, presumably as a reward. Ministry of Defence’ Secretary. 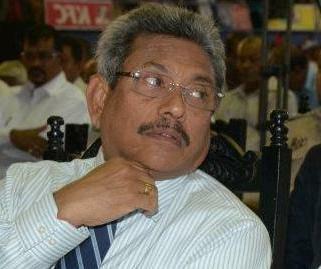 Recall that Gen Fonseka was dragged by his feet after he lost to Mahinda? Remember the puerile cases that were filed and the resultant remanding of Gen. Fonseka? Lasantha Wickrematunge, if as he says now that most of the revelations unfolding before court were found out during his tenure? Mind boggling or is it Mens Rea? Whither Sinhala Cinema Today: From An Actor’s Perspective! « සිංහල බෞද්ධයාගේ ආගම බුදුදහම ද? බුදුසසුන ද?